Dog lovers usually enjoy watching television shows that feature their favorite four-legged friends. We can relate to these shows and connect with the characters. With classic TV shows featuring some of television’s most famous canine characters to documentaries and family-friendly comedies, there’s plenty of doggy fun to binge-watch! This is my list of the best TV shows about dogs that are available for viewing on Amazon Prime, Netflix and other platforms. When browsing for dog-friendly TV shows, you can find very good series about dogs or with dogs in any genre of your choosing. Whether you like comedy or drama, action or horror, thriller or art house, there is a doggy TV show out there for you and the family. The best part about streaming services, like Amazon Prime, Netflix, HBO or others, is that you can watch the best TV shows about dogs from anywhere. Those who already have Amazon Prime subscription get TV content for free as part of the membership. The bottom line is that there's nothing like kicking back in your recliner at home and watching one of your favorite heartwarming TV shows about dogs, which you can always binge watch and finish while streaming on any mobile device. So here's my list of best TV shows about dogs that I personally loved and would recommend to anyone. Dark Dynasty K9s specialize in breeding some of the world's most fearsome guard dogs. With the negative media surrounding the breed of Pit Bulls, Dog Dynasty aims to turn your preconceptions of Pit Bulls upside down. The show follows Hulk, the gentle giant Pit Bull. Hulk’s owners are on a mission to make him the world’s most famous dog, and with a Facebook fanbase of over 100,000, he’s well on his way. Throughout the season we see Hulk travel to New York to meet fans and pose for a photo shoot as well as see him play carefully with a chihuahua. Dog Dynasty shows how dogs of any breed can be great defense dogs, as well as great for cuddles and playtime. In the short episodes we see Dark Dynasty K9’s strong and positive training techniques and the unique bond between man and dog. Reality TV finally turned its lens towards the dogs in this TV series, which aired on Animal Planet. On Dog Days we follow a number of New Yorkers, including former Saturday Night Live choreographer Danielle Flora and top male model Edward Cruz, as they raise their pet dogs in busy New York City. While it is one of the older best TV shows about dogs – filmed in 2002 – we get an inside look into the cosmopolitan life of being a New York City pooch. We meet some well behaved pups who act as muses to their artistic owners as well as destructive pups who are still adorable. The TV series just shows how we all have an unconditional love for our dogs who come with a variety of quirks. Lifted from their quiet lives in Kansas, 12-year-old Dorothy Gale finds herself lost in a strange new land with her trusty sidekick pup Toto. They’ve been transported to Oz in a magical tornado. With the help of some new friends in Oz, Dorothy and Toto search for the magic they need to get back home. The only downside is that Oz is currently experiencing a critical magic shortage. I am a 23 year old male and I still found this to be more appealing than most TV shows currently out there. The magic of discovery and the thirst for knowledge are all there, ready to inspire the next generation. With great animation and an interesting story, there’s enough to keep everyone in the family engrossed in Dorothy’s and Toto’s adventures in Oz. 4 Scooby Doo, Where Are You? 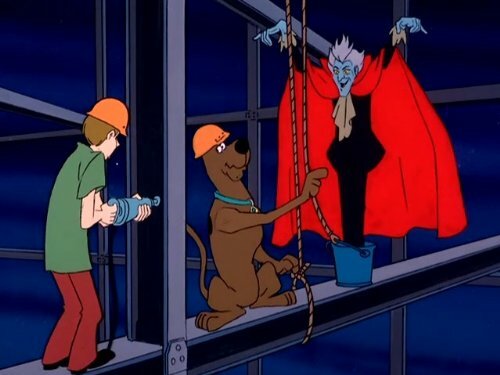 Can we really talk about the best TV shows about dogs and not include good ol’ Scooby Doo?Scooby is the world's most lovable, mystery-solving Great Dane. Along with his best friend Shaggy and the rest of the gang, they travel around in a bright green van known as the Mystery Machine and solve strange and hilarious mysteries. First airing in 1969, each episode tends to pan out pretty similarly. However this doesn’t constitute for a boring watch. Each mystery is unusual and involves the group stopping someone from wreaking some kind of havoc on the world. Vipo is a cute and cuddly pup who has a secret dream – to learn how to fly with his big ears! On his way to school one day, Vipo helps two storks free their egg from a kite which became tangled in their nest. When Vipo succeeds, the egg hatches and Vipo's new friend Henry is born. When it becomes time for Henry to learn how to fly, Vipo demonstrates how he should flap his wings with his big ears when all of a sudden a miracle happens and Vipo begins to fly. On Amazon Prime you can watch both seasons of this best TV show about dogs. In the first season we follow Vipo, along with his friends Henry the stork and Betty the toy cat as they explore the world and learn about new places and cultures. In season two, we see Vipo returns to Vipoland with his friends Betty and Henry, a clock malfunction occurs and sends everyone back in time to a fantastic, but unknown place, called Time Island. 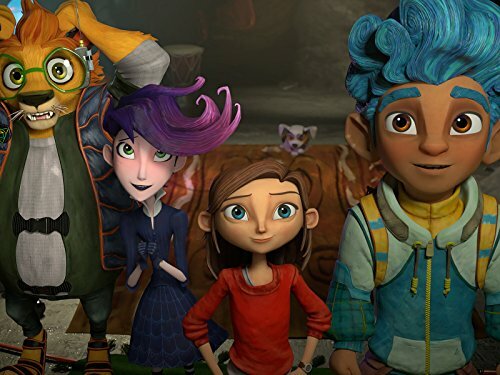 In this TV series we follow Vipo and his friends as they take a new and exciting adventure throughout Time Island. Vipo- Adventures of the Flying Dog was an animated television series for children released originally in 2007 in Germany. However with the success of the show, it’s now aired all over the world. In this classic stop motion animation TV series, we follow Wallace and his clever dog Gromit as they go on crazy adventures together. The pair take a rocket to the moon for a picnic, get caught up in a robotic trousers debacle and open a bakery while being embroiled in a murder mystery case. Gromit is one of the best canine characters on TV. Not your typical doggy character, Gromit has such a distinct character with a perfect balance of mild-manners and sass even though he doesn't speak. From the simple classic A Grand Day Out to the complex A Close Shave, this series has everything that you could hope for in one of the best TV shows about dogs. It's an intelligent and heartfelt package suitable for all ages. Full of wit, humor and excitement, Wallace and Gromit is an enjoyable watch for children and adults alike. 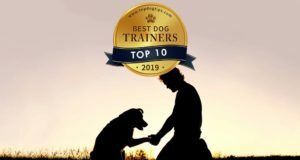 This TV series tells a number of heartwarming stories of dogs around the world who do what they were bred to do and touch the lives of many people in the process. The jobs these canines carry out include everything from herding sheep, providing mental and physical therapy, working with fire and police departments and so much more. For example, in one episode of this best TV show about dogs, we meet Maggie, a chocolate lab who works as a service dog for an autistic 7-year-old boy in Alberta, Canada and A.J., a bloodhound who searches for missing pets in California. People have always relied on canine partners to protect and serve them. 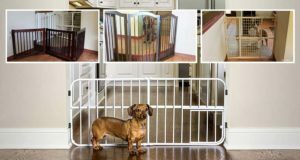 Today, there are an amazing variety of ways that dogs make our lives easier and better. The series combines on-the-job footage with gripping storytelling to show the drama and the humor in a working dog's real life. Each story is inspiring, and it’s wonderful to see these dogs happy and working so closely with their humans. Dogs with Jobs is a nice and feel good show with a simple premise. It's also heartwarming and family-friendly.